Asus has recently announced a new series of their Padfone – the Asus Padfone Infinity with lot of new features and upgrades. Asus padfone Infinity features & comes which is a 5 inch smartphone and 10 inch tablet device that can be docked together to form one device . 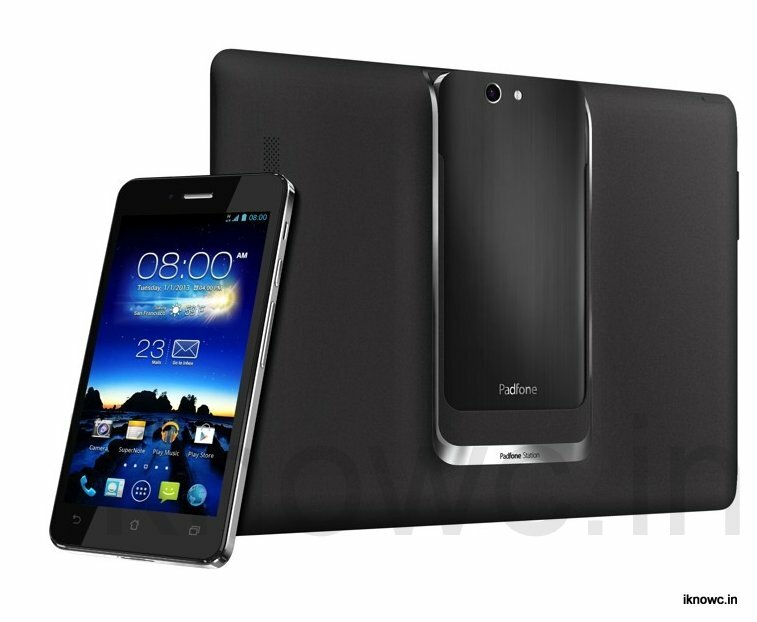 The price / cost of Asus Padfone Infinity is around £796 (around Rs 71,000, $1327, €999 or AU$1287) the price / cost for the phone is high enough . The phone has resolution of 1920 x 1080 on 5 inch display with 441 pixels per inch which is decent ,the smart phone and the tablet has a redesign with an aluminum back and edge-to-edge glass display. The tablet has 10.inch display with resolution of 1,920 x 1,200. Asus padfone Infinity runs on Android 4.2 which is a upgrade it is last series not just this the padfone runs with quad-core, 1.7GHz Snapdragon 600 chip with an Adreno 320 GPU which is decent feature of the Asus padfone infinity . 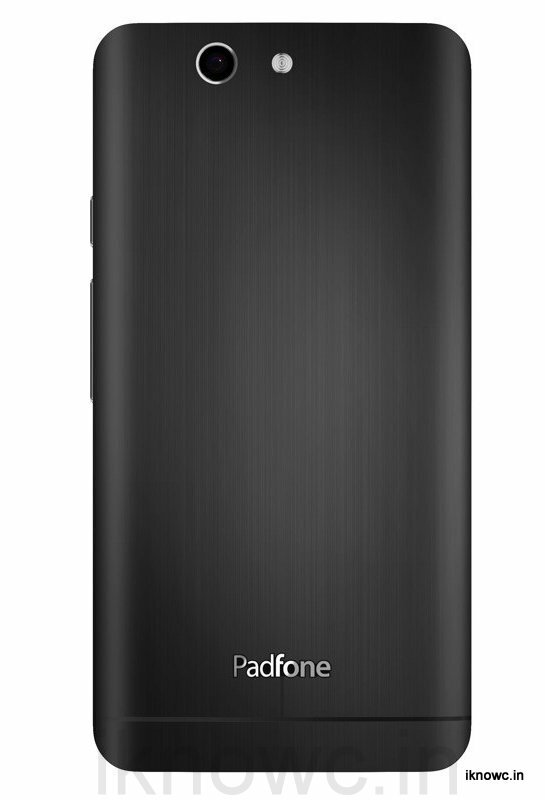 Padfone infinity comes with 2GB of onboard ram to boost the performance of the device to give a blast to its users . If we talk about the ROM memory that we have on Padfone Infinity then there are two choices 32GB or 64GB as built in storage. 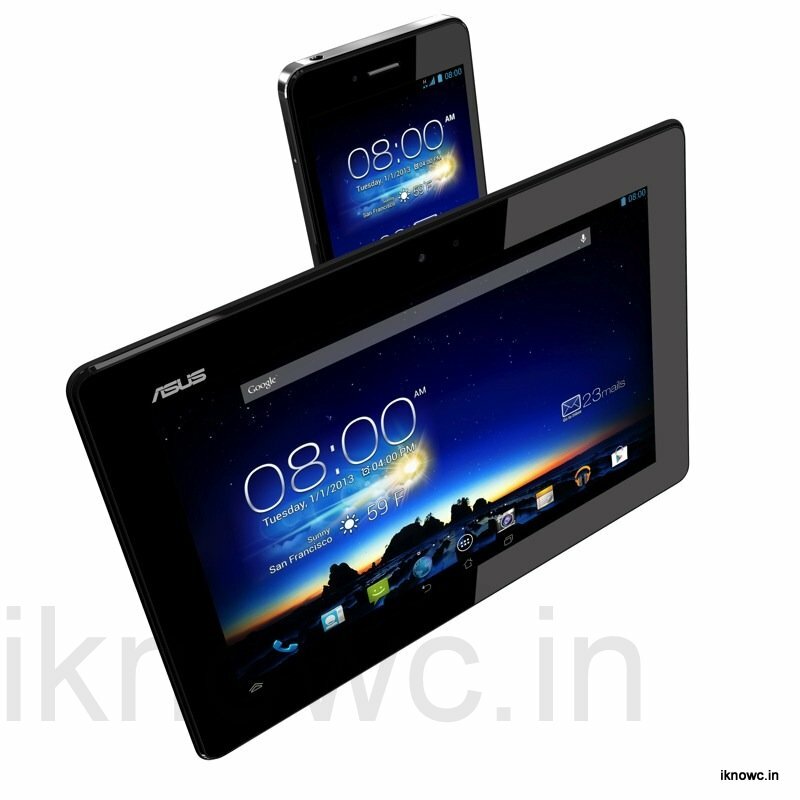 Asus padfone infinity has 13-megapixel autofocusing camera with an LED flash with five-element, f/2.0 lens and burst shooting at eight fps . The fron camera is of 2MP for video chating. PADFONE has connectivity of EDGE , GPRS- GSM, WCDMA, LTE also DC-HSPA+ . Radios: WiFi, Bluetooth 4.0, NFC, A-GPS and GLONASS. Padfone uses a nano-SIM rather than micro-SIM so you have to cut down your SIM . As i already mention about the size of display on both which is 5 inch for smartphone and 10.1inch with resolution of the 19,20 x1080 for smartphone and 1920 x 1200 for tablet . 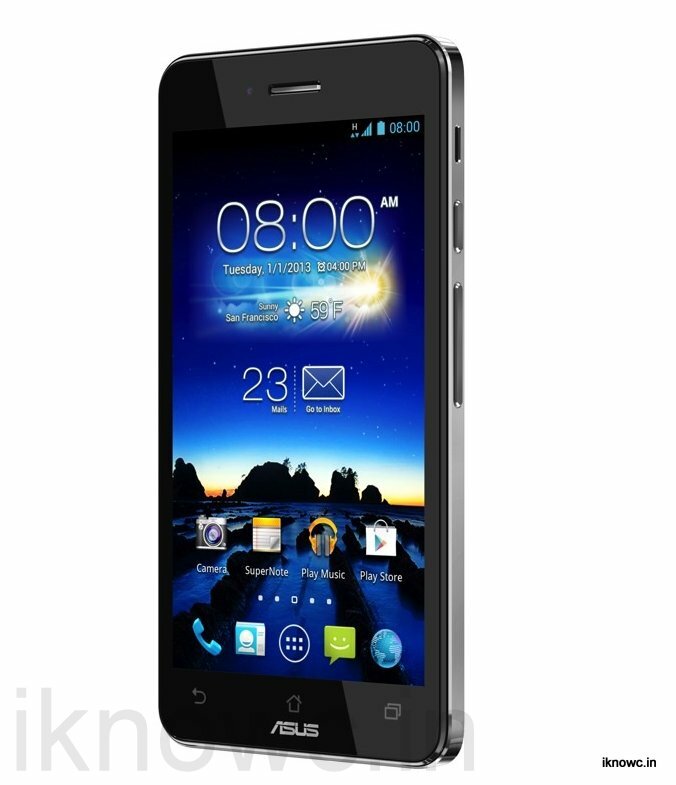 The device has 2,400mAh battery which gives s up to 19 hours of 3G talk time and up to 40 with the dock attached . Talk time seems to be very decent but yes the price tooo. The device won’t be available in US but you can get it in EUROPE this april also in ASIA . The colour choice that you will get on the device are gray, gold and hot pink . Asus FonePad 7 powered by 1.6GHZ Dual Core processor Announced Asus Padfone mini 4.3 with 7inch Tablet dock launched Lava Iris 503 Review and Unboxing : Price is bit more Asus Google Nexus 7 2 ( 2013 ) tablet Review – ( Best tablet ) Alcatel One Touch Scribe HD – Review – specification price specs mwc OnePlus 2 price in USA, UK, India, China, Canada, Poland, Sweden, Taiwan, Hungary, Europe, Denmark and Czech Republic Asus Zenfone C ZC451CG with 1GB RAM announced MICROMAX A88 CANVAS MUSIC Dual Core Android smartphone for music lovers at RS 8499 .